Bitcoin hash rate, the computing power securing the network, has reached levels not seen since early November 2018. March 19th saw the Bitcoin hash rate surge past 52 quintillion hashes per second according to data from Blockchain.com. The hash rate measures the performance of bitcoin miners who secure the network. Simply put, the higher the hash rate, the more resources it requires to successfully attack Bitcoin. The rise in hash rate also translates into new miners joining the network. With the mining difficulty remaining relatively flat for over a month now, new miners have found it easier to bring their rigs online. Though with the hash power now climbing, the difficulty, a counterblancing feature, will likely increase in the coming days. Market Optimism Making a Comeback? The latest uptick may prove to be significant as this means that the downward trend in hash rate may now be definitevly broken along with the previous spike of 50,000,000 TH/s seen in early February. Overall, network security is at its highest since the beginning of November 2018, marking a 4-month high. It’s also getting closer to the all-time record high of roughly 62,000,000 TH/s set in August 2018. The hash rate is also an important metric for guaging the sentiment of miners who secure the Bitcoin network. This is because miners must be confident in the network’s future in order to invest the capital to fund operations. Casa CTO, Jameson Lopp, for example, believes that miners speculate on the future price of bitcoin. Therefore, it is possible that miners are beginning to return as the BTC price is currently experiencing a four-week winning streak. The recovery of the hash rate also suggests that unfounded fears of a ‘mining death-spiral’ as price plummeted late last year may now be put to rest. 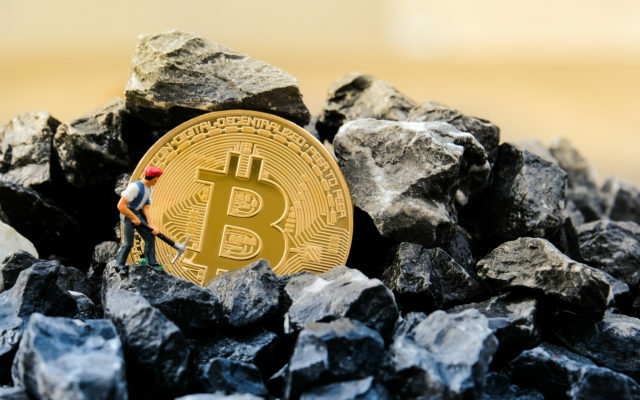 When price was dropping throughout 2018, the least efficient miners were likely turning off their rigs to avoid operating at a loss, dropping the overall hash rate. However, Bitcoin’s (lagging) difficulty adjustment feature made sure that other miner made profit. “That’s the beauty of the difficulty adjustment. Every miner that is turned off increases the profitability of remaining miners,” entrepreneur Matt Odell stated in November, criticizing mainstream news over their ‘death spiral’ headlines. But now, more miners coming online to push up the hashrate. This suggests that they are currently in profit at current spot price and/or expect the market to grow in the future. Worth noting, today’s Bitcoin hash rate is over four times greater than when BTC price hit its record high of nearly $20,000 in December 2017. Does an increasing hashrate suggest price will follow? Don’t hesitate to let us know in the comments below!